Medici Ventures blockchain portfolio company Bitt announces the appointment of former Overstock.com executive Brian Popelka as Bitt president. Bitt is a Barbados-based FinTech company developing a digital currency ecosystem in the Caribbean using blockchain and distributed ledger technology. The company’s goal is to revolutionize the traditional banking industry by empowering the Caribbean’s unbanked residents through secure and decentralized banking and payment options. As president, Popelka will focus on continuing to grow adoption of Bitt’s digital wallet technology in the region while pursuing opportunities for integration with central banking systems in the Caribbean and beyond. The company has already signed memorandums of understanding (MOU) with several Caribbean nations to integrate its technology with central and commercial banks within those countries. Bitt’s mMoney digital payment technology launched in Barbados in 2017. Popelka was one of the earliest employees at Overstock.com and has held executive roles for the online furniture and home goods leader for more than twelve years. He will bring experience in digital startup growth and infrastructural expansion to Bitt as it continues its work on building a full tech stack for banking that connects central banks to commercial banks to consumer’s digital wallets. Bitt is a Barbados-based financial technology company that utilizes blockchain and distributed ledger technology to facilitate secure peer-to-peer transactions with seamless mobile money across a suite of Bitt’s Software and Mobile Applications. The company was founded in 2013 To financially empower everyone and provide infrastructure to support a digital financial ecosystem throughout the Caribbean, that will stimulate economic growth and financial access for this and future generations. Bitt’s mMoney digital payment product was launched in Barbados in 2017. Launched in 2014, Medici Ventures is a wholly owned subsidiary of Overstock.com, Inc., created to leverage blockchain technology to solve real-world problems with transparent, efficient and secure solutions. 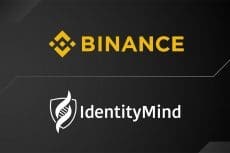 Medici Ventures has a growing portfolio of groundbreaking blockchain-focused investments, including tZERO, Peernova, Bitt, Voatz, Bitsy, SettleMint, Factom, and IdentityMind, Spera and Symbiont. 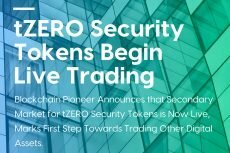 The company’s majority-owned financial technology company, tZERO, executed the world’s first blockchain-based stock offering in December 2016. Disclaimer: This press release contains certain forward-looking statements within the meaning of Section 27A of the Securities Act of 1933 and Section 21E of the Securities Exchange Act of 1934. Such forward-looking statements include all statements other than statements of historical fact. Additional information regarding factors that could materially affect results and the accuracy of the forward-looking statements contained herein may be found in the Company's Form 10-K for the quarter ended December 30, 2017, which was filed with the SEC on March 15, 2018, and any subsequent filings with the SEC.